You’ve probably already heard the rumors that solar energy can help you save more money. It seems almost too good to be true that the sun could help you trade in your electric bill for good. How can something so simple have such a great benefit for your bottom line? The good news is that solar energy really does help you to save money on your monthly bills. Some research is showing that solar energy can help you save up to $30,000 over the next two decades. If you’re ready to learn more about how you can save money with the sun, here’s what you need to know about solar energy. The biggest reason that solar energy can help you save money is that it reduces your reliance on the electric company. Normally, the utility company gets money for the amount of light, air conditioning, and heating that you use each month. You will pay a rather hefty sum for some of these things, depending on where you live. Meanwhile, the electric company makes a nice profit off your daily living. By comparison, you could have solar energy that eliminates your need for some or all of this electricity. The solar panels are capable of using the sun to generate a new source of power. Whenever you turn on the lights, you can tap into this free power source instead. The electric company often changes their rates based on the economy and how much energy you use. These subtle differences can make your monthly bill more difficult to predict each month. For families that live on a strict budget, these changes could spell disaster for your bottom line at the end of the month. On the other hand, the sun never changes its rates. You might have a hard time pulling solar energy on a rainy day, but the sun is always free and available for use when the weather is nice. Some homes are positioned in an area where they are exposed to almost constant sunshine. 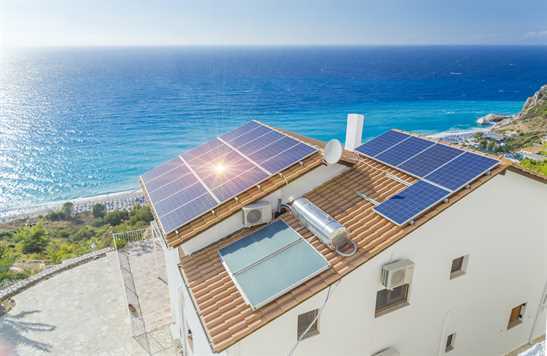 If this describes your home, you may be making more solar energy than you really need. The best solution would be to sell it back to the utility company. When you do this, you can either earn real cash back or receive a discount on any electricity that you do use. Many people overlook the potential for this kind of savings when they think about solar energy. However, it is really too good to be ignored. Are you ready to start saving some serious money on your necessary bills each month? You can begin chipping away at your electric bill by installing solar panels. At Powertec Solar, we use only high-quality solar panels and installation services to ensure that you get the best savings. Give us a call today to see how we can start saving you money!